Reading to all young children is important for bonding, academic success, language skills, literacy, logical thinking, auditory skills, experience expansion and concentration. Many times children who are visually impaired or who have multiple disabilities rarely share in those early special reading experiences. 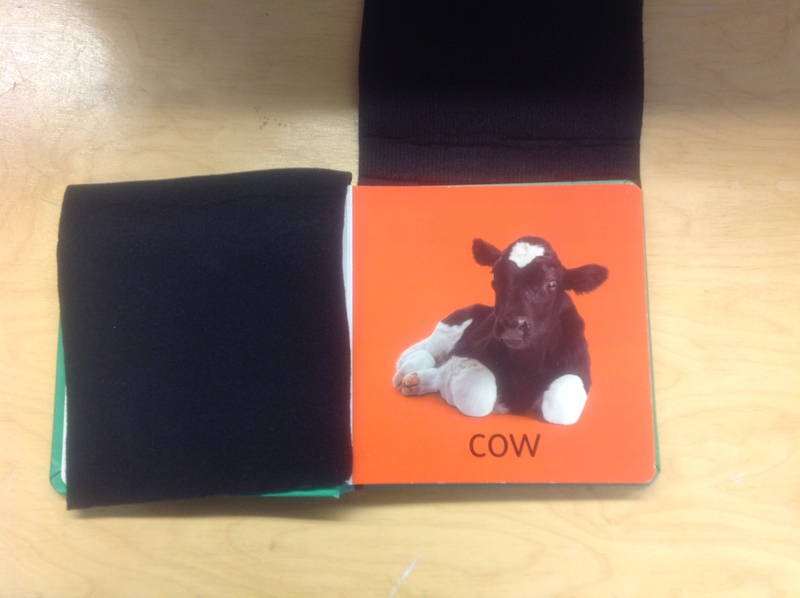 This book was created by the speech therapist in our preschool. She grasped the concepts about CVI, understood the CVI Range assessment results (Christine Roman Lantzy 2007) and applied them to one of her student’s materials. This student loved to listen to the animal sounds games. The speech therapist found a board book to read. 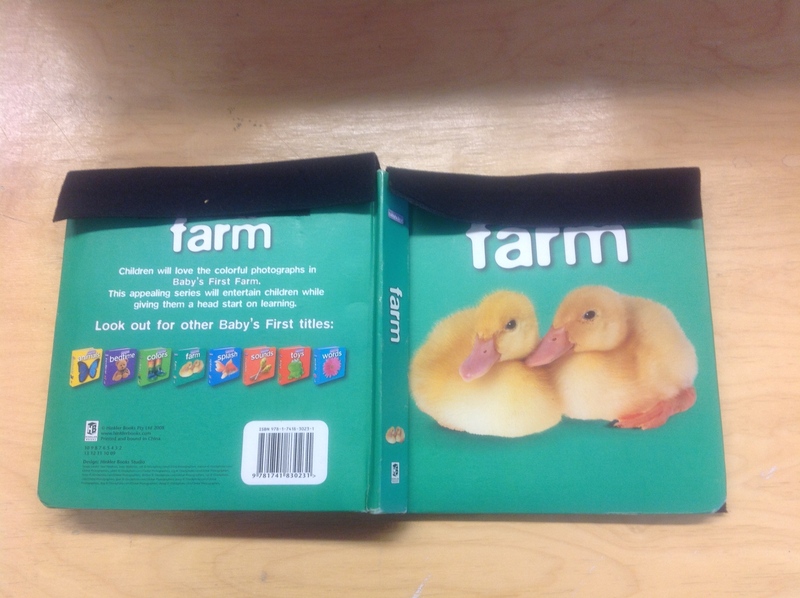 The two images were just too much for the child to look at when presented together. 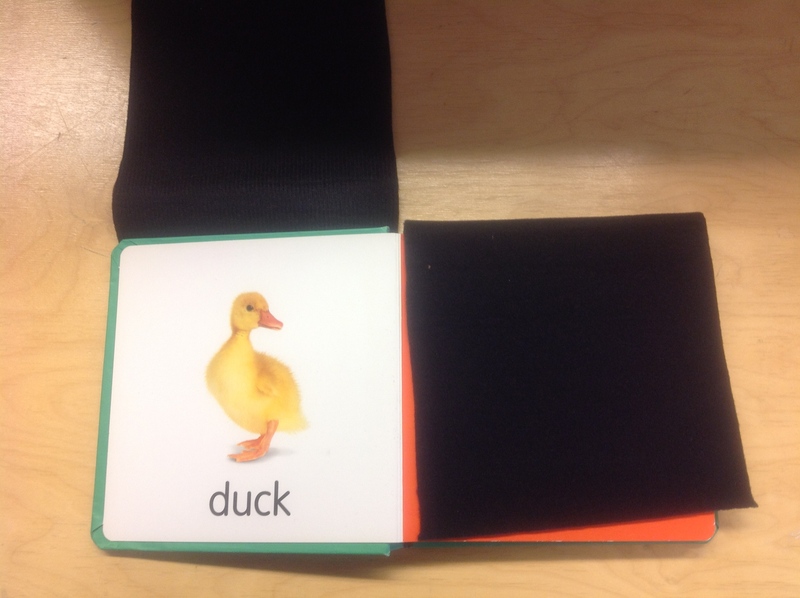 She attached Velcro to the back of each page and attached a black flap on each side. She was then able to lift one flap at a time as she read that page. The flaps were removable as the child was more familiar and able to tolerate more complexity. This book is a favorite! 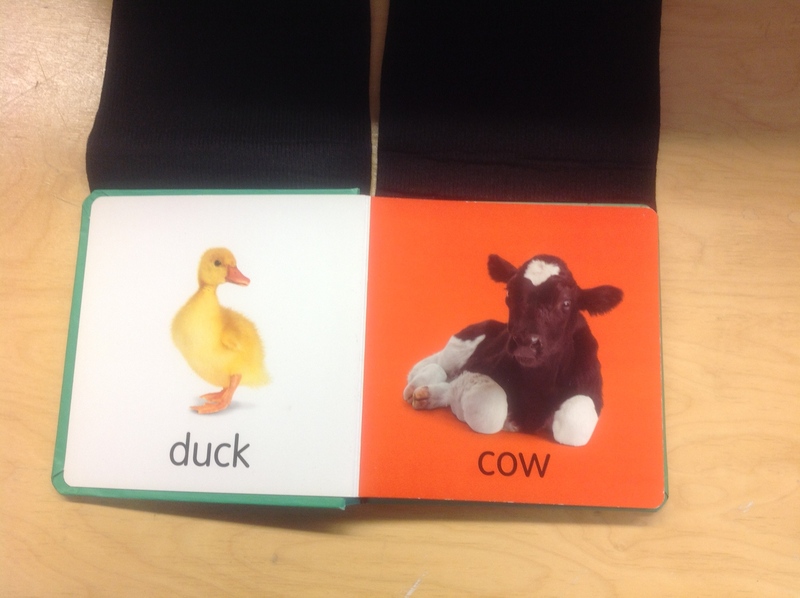 It matched a preferred auditory event with an adapted literacy material. ← Start the School Year Off Right! Thank you! I have been trying to just show one side of the book at a time,which is awkward. This is such a great idea!